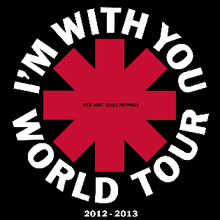 Throughout the I'm with You Tour and the follow-up 2013/2014 Tour, 72 hours after each show's completion, the band has been releasing an official bootleg of each show to their website for fans to purchase as a download. All tracks written by Anthony Kiedis, Flea, Chad Smith and John Frusciante. This page was last edited on 22 January 2019, at 21:18 (UTC).